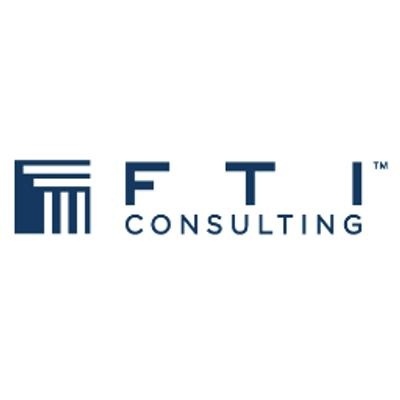 FTI Consulting, Inc. is a global business advisory firm dedicated to helping organizations protect and enhance enterprise value in an increasingly complex legal, regulatory and economic environment. With more than 4,100 professionals in 25 countries, we work closely with clients to anticipate, illuminate and overcome complex business challenges in areas such as investigations, litigation, mergers and acquisitions, regulatory issues, reputation management and restructuring. FTI is hiring a Sales/ Business Development Director for its Technology Segment, which focuses on electronic discovery and document review. Electronic discovery is the management of electronic data as evidence in legal proceedings and document review is the review of that data for content. The Sales/ Business Development Director will be tasked with identifying, pursuing and closing sales for all FTI’s product offerings and technology services. This includes perpetual software licenses, on-demand hosted software and services, and packaged technology service offerings. The individual should have experience in consultative sales of e-discovery solutions with an emphasis on sales or consulting directly to corporate legal departments. The Sales/ Business Development Director will receive a sales target for a defined region or territory and will be expected to meet or exceed quarterly and yearly revenue projections. As the owner of the business plan for their region FTI will be looking for the individual to grow the business in the region and will promote and give expanding responsibility to the individual based on that growth. Communicate the significant value proposition of the company’s entire portfolio. Instill confidence among clients with your personal credibility and experience and the company’s footprint in the e-discovery space. Consistently qualify, generate, and execute on opportunities that provide profitable revenue to FTI. Consistently build an effective pipeline and execute on each phase of the sales process. Incorporate knowledge of our products and services, the customer, and key competitors into the sales process and use that knowledge to uncover customer needs and create value based solutions. Work effectively as a team member and also facilitate the sales opportunity by providing leadership and orchestrating the internal and external resources needed to effectively manage the sales process. Use two-sided discovery to uncover the key drivers of value for the customer and is skilled in articulating the value of our solutions and is able to clearly differentiate the company's solutions in the marketplace. Accurately forecast the business on a consistent basis. Leverage the value of our solutions in the negotiation process to drive maximum margin for the company. Establish customer relationships that enable FTI to be viewed as a trusted advisor. 5-10 years of success selling software and/or consultancy services. Minimum 3 years success selling software and/or services in the e-Discovery market to law firms and/or corporations. B.S. or a B.A. college degree. Law degree is not mandatory but considered a plus along with experience at major law firm or corporate legal department. Comfortable and fluent with e-discovery technology and document review terminology. Learn more about Fti Consulting, Inc.